Learn the comprehensive treatment programs offered by Dr. med. 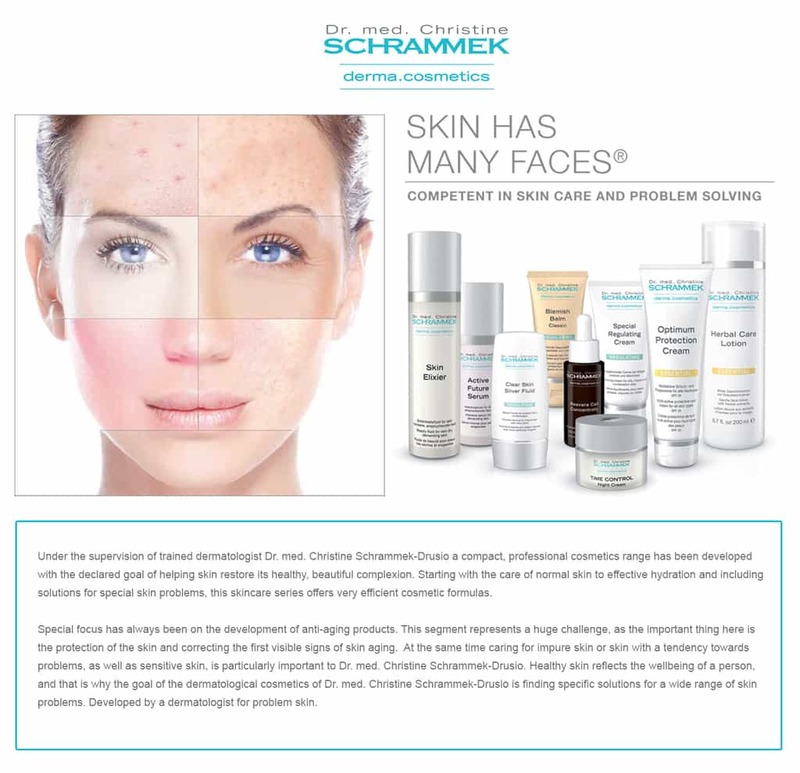 Christine Schrammek Including: Skin has many faces (offers treatment solutions for all skin types) & Derma.cosmetics (solutions developed by doctors that meet the highest demands). Training FREE with purchase of Dr. Schrammek opening order!